The folktales, fairy tales and myths of our ancestors are the building blocks for every story that has been told since, and in many ways, for our identities and our understanding of the world and one another. This storytelling course for beginners – and those returning to the craft – is a chance to learn how to prepare and perform traditional stories in the company of two of Britain’s leading exponents of the art-form. Participants will leave the course immersed in the practice and the history of the oral tradition that has arguably defined cultures and people since before any other art-form, and of course having heard and told surprising, funny, shocking and warm stories. The tutors, Daniel Morden and Hugh Lupton, are frequent collaborators having co-published five books retelling ancient Greek myths. The pair were awarded the 2006 Classical Association Prize for the most significant contribution to the public understanding of the classics. 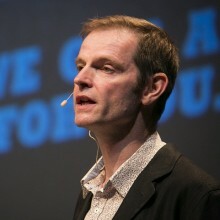 Daniel Morden has been a professional storyteller since 1989, performing all over the world, from New York to Nairobi. He has twice won the Welsh Books Council’s Tir na n-Og Award for his retellings of traditional tales. His collections of stories have focused on a range of areas, from the folklore and mythology of his native Wales to the Roma and Gypsy oral storytelling tradition.He is currently a Visiting Fellow at the University of South Wales. 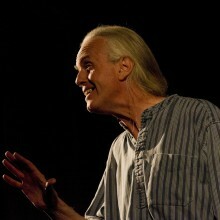 Hugh Lupton has been a central figure in the British storytelling revival for 30 years. Storytelling is in his blood – he’s the great-nephew of Arthur Ransome. Hugh tells myths, legends and folktales from many cultures, but his particular passion is for the hidden layers of the British landscape and the stories and ballads that give them voice. He has written many collections of folktales and two novels: The Ballad of John Clare(Dedalus, 2012) and The Assembly of the Severed Head (Propolis, 2018), which tells the story of the making of The Mabinogi.